Hearing those words comforts us. the most well-known Psalm in the Bible. The 23rd Psalm is the most beloved Psalm in the Bible. David is giving a declaration describing his relationship to the Lord. by calling God his Shepherd. In other words, David is saying that he has chosen God to be his leader and the Lord of his life. He is saying that he is dedicated to trying to obey God. He is saying that he wants to please God with his actions and words. Many of the promises of the Bible are conditional. Many have an "If" written out and for some, the "if" is implied. "If you are willing and obedient, you shall eat the good of the land." 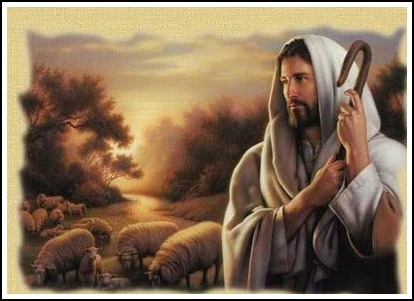 The first verse of Psalm 23 says: The Lord is my shepherd, I shall not want. The promise of "not wanting" is for those who have made God their shepherd. This conditional promise is implied. Moreover, the promise is not automatic. You just don't make God your Shepherd and everything falls into place. If we want a promise of God to manifest in our life, we sometimes need to "stand" on that promise. God intends for us to "speak out" scripture. He intends us to speak "out loud" scripture in order to change things in our life. When you actually "speak out" scripture and pray to the Lord for your needs, you are showing that you have faith - at least some faith in God and in his word. You might not have magnificent faith, but..... if you take the time to speak out scripture, it shows you have at least some faith that speaking out God's Word is worthwhile. You are showing respect for the Bible and for God. resting in a good place. When we have made God our Shepherd, we can learn to rest in him. This verse reminds me of Psalm 46:10: Be still and know that I am God. In Psalm 23, the words "He maketh me to lie down in green pastures" create a picture of allowing ourselves to rest, because we realize that we have a close relationship with the one who is all knowing, all powerful, and who is present everywhere. In Psalm 139:7, David poetically asked God, "Where can I go from you? How can I get away from your presence?" Then David answered those questions - "There is no where I can go that you are not there with me." 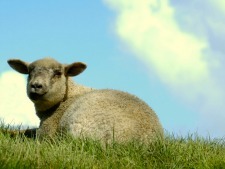 Psalm 23 not only gives us a picture of rest - but rest in a green pasture. That gives us the picture of resting with good provision. Sheep eat grass. 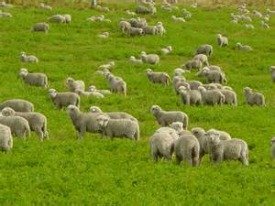 Therefore, a "green pasture" represents the idea that the basic need of food is abundantly provided for the sheep. Psalm 127:2 reminds us that God is a good provider to those who love him and who are not lazy. for God wants his loved ones to get their proper rest." God does not want us to be worried and fearful. He wants us to rest in him. Rest is one of our covenant gifts. Yet, we may have to seek God to learn how to receive it. When we try to put God first in our life, (which includes obeying him) then God's will is for us to find rest in him. We see this message also expressed in the book of Matthew. Notice that Jesus tells us that we have to put Him first AND seek His righteousness - that means seek to obey Him - and then things will be added unto us. Too many Christians do not realize that their behavior does have an effect on the amount of blessings in their life. Sometimes we will miss some of the blessings that God wants to give us because we are disobedient. It makes a difference to God. Proverbs 1:29-31 has an ominous message. "For you closed your eyes to the facts and did not choose to reverence and trust the Lord, and you turned your back on me, spurning my advice. That is why you must eat the bitter fruit of having your own way, and experience the full terrors of the pathway you have chosen." our immaturity as a believer. God is attempting to guide them toward. When God says turn right, and I want to turn wrong. 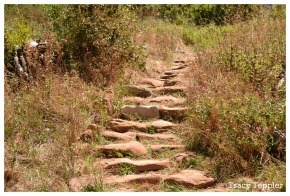 We all sometimes resist the path God is leading up toward. Too many people continually ignore God while he is attempting to direct them and guide them. Still waters has the idea of calmness, rest, and peace attached to it. he will lead us to places of peace. Jesus tells us that His peace is available to those who seek it. "My peace I give to you." Great peace have those who love your law. "Oh, that you had heeded My commandments! Our soul consists of our mind, our will, and our emotions. The word "restore" gives us the picture of renewing or bringing back. God restoring our soul is a beautiful picture. Yet, I like to remind myself that God not only renews and brings back, but he can even make something better than it ever was. So this verse is filled with great promise for us. Our God can restore our mind to sharpness, clarity, etc. God wants to restore our mind, so that we can have the ability to use our mind to do our very best each day. God wants to restore our mind, so that we think without hindrance. God wants to give us the ability to shake off our unpleasant past and redeem us from it. God wants to also transform us and make our mind better than it ever was. He wants to transform our mind by giving us godly thoughts. When we work with God, he has the ability to not only restore our mind, but renew our mind, so that we think like him more and more often. Our God can restore our emotions. He can restore our emotions so that we leave behind emotional memories, unhealed emotions, and past emotional responses. He wants us to have the feelings of contentment and satisfaction more often. The feeling of peace can more and more be felt as we follow his paths and obey him. God also wants to transform our emotions so that we are so united with Him that we respond automatically like Jesus - even in difficult circumstances. Happy are all who search for God and always do his will. God can restore our will so that we want to obey him more often - just like a little child wanting to please a godly father. I have set my face like flint to do his will, and I know that I will triumph. Most of us have had a parent or a teacher who we greatly admired. We felt such great warmth towards him or her that we wanted to please that person. God also wants to transform our will, so that we become so united to Him that we not only want to please him and obey him, but we actually love what he loves. Then His desires become our deepest desires. God wants us to yield our mind, our emotions, and our will to him and forgive those who have wronged us. God wants us to walk in forgiveness. and content in his presence. God will always lead us toward righteousness. it always leads toward righteousness. If you are following God, you will change your behavior. If you are following God, you become more righteous and look more and more like Jesus. If you are not becoming more and more righteous in your life, then you are not following God. you would go everywhere that person went. We need to be spiritually duct-taped to God. but is the Lord convinced?" God knows exactly how obedient we are. We do not fool him with our excuses. We do not fool him with sweet talk during prayer. John was one of the 12 disciples. He was the best friend of Jesus. in the book of First John. But if he doesn't do what Christ tells him to, he is a liar. will learn to love God more and more. should live as Christ did. God tells us to value our name. A good name is to be chosen rather than great riches. Also notice that God tells us multiple times in the Bible that we are to "Bless" his name. For example, Psalm 103:1 NKJV says, "Bless the Lord, O my soul." I have a short teaching on Psalm 103:1 on my blog on July 12. We bless the name of the Lord by being obedient to God. When we obey God, we are showing honor to the name of God. When we disobey God, we are showing dishonor to God. 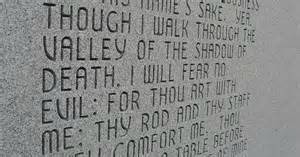 I will fear no evil. For thou art with me. On January 23, 2014 I did a short Bible devotional about this verse as a blog entry . It takes this verse and not only relates it to facing a physical death, but also relates this verse to dealing with depression, sickness, financial situations, etc. To read the blog entry click here. This verse reminds us that there is no where we can go that God is not with us. This verse reminds people who have dedicated their life to God that even when we face literal death, God wants us to be at peace that he is there with us. This verse speaks of a closeness with God where we share warm intimacy with Him - the one who made the whole universe. He wants us to feel close to him. He wants us to enjoy his presence. God thinks that he has given us a really great gift when he gives us the opportunity to make a personal relationship with him. He actually thinks HE is the best gift he can give someone. Sadly most people disagree with him. Let me be specific - God thinks that giving us the ability to know him through his Bible, and the ability to talk to him through prayer - is the best gift he gives us. Yet how few people understand that. God wants us to enjoy HIM not just want things from him. to get to his material gifts. and enjoy the literal presence of Jesus. he or she needs to consider if he or she is really saved. Most people have little interest in developing a deep relationship with the Lord. Psalm 23 verse 4 is often used at funerals, yet, at many of the funerals that use the verse those in attendance are grieving over a loved one who is not going to heaven. God tells us that the road to hell is wide. But the road to heaven is narrow and few find it. Then one said to Him [Jesus], "Lord are there few who are saved?" And He [Jesus] said to them, "Strive to enter through the narrow gate, for many, I say to you, will seek to enter and will not be able." If Jesus is telling us the truth, then many people that we love are in deep trouble. Jesus is serious about heaven and hell. But very few people are. Many people who are reading this page may realize that they too are in trouble and are headed toward hell. Hopefully this page will spark some serious thought in each one who comes here. is the most important thing in life. "Being saved" means that you live your life for Jesus. then now is the time to start. Perhaps you would like to read our page: Explaining Salvation. Also my book At Home in God's Sweater is a great book for women who want to have a wonderful, growing relationship with God. I am shocked at how few people who call themselves "Christians" share the gospel with their family. Few parents teach their children about the Lord. If a person is not interested in sharing the gospel, then that person does not take heaven and hell seriously. Therefore, that person doesn't really understand the gospel. After our death, whether we go to heaven or hell, we will wish that we could come back and tell our loved ones to take God more seriously. We must help point the way to Christ Jesus while we are living. What is more important in life than that? Prayer for the condition of our children's souls. about the horrible future of many people that we know and love. and even used his name when they did them. They had not truly dedicated their life to him. They were not going to heaven! I'm getting fired up to share the Gospel. Just by the fact that God inspired David to call Him "Shepherd" meant that David - and all the rest of us - are sheep. Shepherds have a rod and a staff. Take note that I also have a Bible devotion called The Good Shepherd that explains more in-depth about the ways that we are like sheep. In Bible times, when people read Psalm 23, they understood that God was referring to them as sheep. They knew that sheep were unintelligent and stubborn. To be very blunt: They knew that God was actually calling them stupid and hard headed. The rod was a symbol of protection and power. A shepherd used a rod to protect the sheep and himself from predators. It was what we today would call a "club." Shepherds would practice throwing their rod in order to prepare for future danger. The rod would be used to kill snakes and other creatures that might harm the sheep, while it would also scare away or kill predators who want to kill the sheep. I remind you that Moses was a shepherd for many years. Moses took his rod to go and see the Pharoah. Moses used his rod several times as part of the miracles that he did by the power of God. The shepherd's rod was also used for discipline. The shepherd would lightly but firmly "pop" a disobedient sheep. The rod was also used to put fear of discipline in the mind of the sheep. If a sheep was wondering too close to something harmful, the shepherd would throw the rod near the sheep to give the sheep a signal of discipline to guide the sheep away from danger. Another way shepherds use a rod is to examine the sheep. The sheep have thick wool. The shepherd can take the rod and separate the wool in order to see down to the bare skin area. By parting the wool, the shepherd would see the intimate, hidden details of the condition of the sheep. This picture that I have just described for you, can remind us that God sees our inner, hidden areas of weakness and our hidden sin conditions. God uses his rod (the Bible) to speak to us of important truths, and he wants us to take his Bible verses and examine ourselves to see the areas where we have wandered into dangerous territory. Examine yourself as to whether you are in the faith. Sheep are foolish and impulsive. We - sheep - need teaching from our Shepherd to help us. In fact, the book of Proverbs even spells it out very clearly that we need to read this book and become wise. Over and over in the book of Proverbs, it has the comparison: The wise do such and such. And the fool does such and such. We need to realize that we are naturally foolish sheep. Only through the teaching of our Shepherd can we become wise. This is a life-long process. Despise God's Word and find yourself in trouble. The staff was a symbol of love. The staff is seen by the sheep as love. The staff is used mainly to promote intimacy with the sheep. It is used to draw a sheep close to the shepherd for inspection needed to help a sheep. But more beautifully, the staff is used to draw a sheep close to the shepherd to engage in some gentle play or just to give that sheep a hug. God's word can be used as a shepherd's staff. God's word has verses in it that are like a gentle hug to us. While walking with the flock, a shepherd sometimes reaches out his staff to lightly touch a beloved sheep to remind that sheep of his love. As we develop a close relationship with the Lord, we sometimes feel the tangible presence of God. Even though it is only a few times in our lifetime, we can be thankful for those times. I remind us that some Christians are continually seeking tangible touches rather than seeking to please God. We must be careful. This is a danger in many churches today. Following God is not excitement every day. And....God wants us to realize that we can elevate our emotions just by thinking about the fact that we know and follow the God of the universe! But seeking and living for emotions and supernatural unnecessary experiences is a sign of a person moving away from God's path. Here I am speaking about seeking for God things like "manifesting gold dust" or "having a prophetic word for someone on cue" or laying hands on people so they can experience some tangible manifestation of God such as their body shaking." I am not (for example) talking about seeking God for the healing of our body. A final point: The Hebrew word for "comfort" is translated 41 times in the Bible as repent. So the verse could be translated: Thy rod and thy staff, they cause me to repent. The Bible acts as God's rod and his staff. we are comforted by God's rod and his staff. is written on the scroll below. "Before me" - right in front of me - so I need to look with my spiritual eyes. This verse expresses to us that God has prepared good things for us - in the present and in the future. For sheep, the table was an area of land that the shepherd had scouted ahead of time knowing it had clean water and good grass. Earthly shepherds couldn't get rid of everything in the environment that might harm the sheep, but shepherds could prepare and make sure there are good things in the table land. For us, the table is not as easy to define. Even though we may be facing job loss, or depression, or sickness, or wayward loved ones, etc. 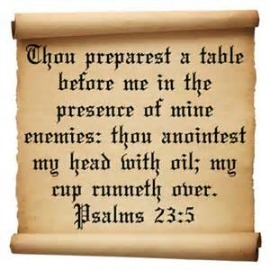 God has a table that he has prepared ahead of time. Let's think of a table that you eat on. God has prepared a table with good things to eat on it even though we are in the presence of our enemies - the things that bind us up and make us feel distressed. Those enemies may be sickness, financial distresses, emotional distresses, etc. No matter what difficult path we have to walk with the Lord, there will be a table with good things on it to refresh us and bless us. Even in the midst of a problem, we can partake of the good things on the table God has in front of us. If we are wise, we will LOOK for the blessings and meditate on them and seek to more fully enjoy them. For example, praying Gratitude Prayer. In the Bible, God told his people to use olive oil to anoint a person for service - such as happened when Samuel anointed David to be king. Samuel poured oil over David signifying that he was chosen to be king by God and as a symbol that God is blessing him (preparing him and guiding him) to be king. anointed David in the midst of his brothers." Psalm 133:2 also talks of one such incident of anointing. We read in that psalm that the oil goes on the head and down the body. The word translated "anoint" also give us the idea of being acceptable. Here David seems to be giving us the idea that part of the anointing in this verse is that God has shown him that he is acceptable to God. When we receive Jesus as our Savior, God fully anoints us and pours out his love and his acceptance on us. I believe that in this psalm, David is seeing his dedication to God as being accepted and making him certain that he is loved and accepted by God. So this verse tells us that God anoints us (he blesses us, he prepares us, he guides us and he accepts us) to do the things that He directs us to do. But how does this verse relate to sheep? This verse is puzzling for those who are not familiar with sheep and shepherds. 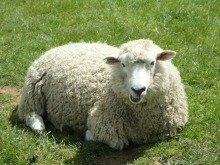 When a sheep has parasites, such as an insect infestation that has gotten into the wool or is irritating the skin, shepherds use a homemade oil on the area. A shepherd will pour the oil on the skin and into the wool to provide relief. After the oil application, the sheep become calmer and more rested. So this verse also reminds us that God has special supernatural oil to apply to us and to our situations which will give us relief and allow us rest - if we allow him to apply it. We could view this oil as a representation of the Holy Spirit who comes to our aid when we have difficult situations. The Holy Spirit is called our comforter. He brings us blessings, and he brings us wisdom, so that we can move toward God and toward his answers to our problems. we will cooperate with him. Here we see a picture of abundance. We can say: MY cup has abundance. Jesus multiplied a few loaves of bread and a few fish in order to feed thousands of people. Notice that when Jesus multiplied the loaves and fishes, he didn't just feed the thousands of people BUT there were leftovers. God wants to remind us that He is able to do MORE than enough. On earth there are times of scarcity. In those times, we can pray for blessing and we can speak out scriptures such as: My cup runneth over. God instructs us to take his word and speak it out in faith showing that we trust him. 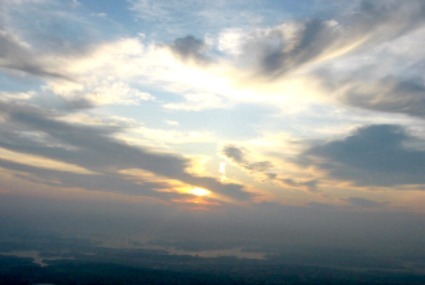 On earth we sometimes will have scarcity, BUT God assures us that heaven has no scarcity. We are progressing toward a goal of heaven where there is no scarcity. Praise the Lord! The sheep know that if they have a good shepherd, then goodness and mercy will always dwell with them. When sheep hear the voice of their shepherd they calm down. So if something has happened to stir up the flock, a shepherd will often sing to the sheep to calm them down. When something has happened to stir us up, we are wise to open the Bible and allow the shepherd to calm us down. If we follow Jesus and have dedicated our life to him, then goodness and mercy follow us in this life and will be with us throughout eternity. The word "dwell" means to abide or to remain. It makes us think of " to settle down - to be at home." we receive protection, guidance, and comfort. we will dwell in his house in heaven forever. Consider teaching Psalm 23 to your little one. I would suggest you do it from the King James Version because most people know it in that version. Sometimes even old television shows speak out the 23rd Psalm in the King James Version. relate them to the Names of God.